Zubair Ahmed was born in 1988 and raised in Dhaka, Bangladesh. In 2005, his family won the Diversity Visa Lottery, which granted them the opportunity to immigrate to the US. During the year-and-a-half before moving, Ahmed dropped out of school and became a professional video gamer. In 2005, Ahmed’s family moved to Duncanville, Texas, where he finished high school. Ahmed now studies mechanical engineering and creative writing at Stanford University. He is a member of the Stanford Solar Car Team, president of the Tau Beta Pi Engineering Honors Society, and has recently delved into business and startups. 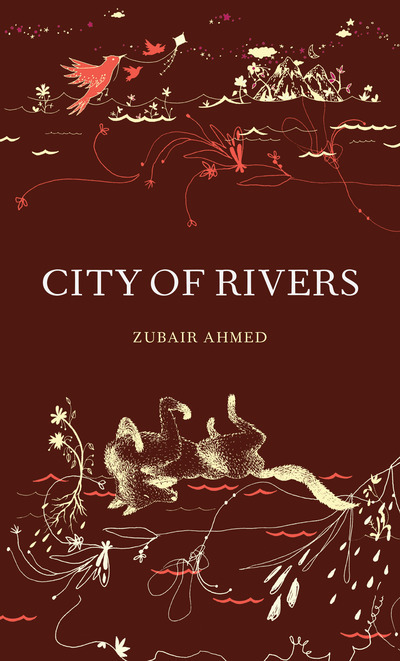 The poems in CIty of Rivers— the first full-length collection from 23-year-old wunderkind Zubair Ahmed– are clear and cool as a glass of water. Grounded in his childhood in Bangladesh, Ahmed’s spare, evocative poems cast a knowing eye on the wider world, telling us what it’s like to be displaced and replaced, relocated and dislocated. His poems are suffused with a graceful, mysterious pathos– and also with joy, humor, and longing– with the full range of human emotions. City of Rivers is a remarkable and precocious debut. La-Love started writing at an early age but became a spoken word artist in 2002. Her inspiration to write her first slam poem was the death of her father in 2003. Since then she has published a chapbook titled “Last Night the Mic Saved my Life” and is the creator and producer of the quarterly spoken word competion/showcase in Austin, TX titled “The Make it Wet Spitfest”. 2012 marked her 8th year of the successfully running event. La-Love is the former hostess of Austin’s Neo Soul Poetry Lounge currenty located at 11th Street Bar and Grill and The “Evolution”, formerly at Nuno’s and Jovitas. Love is also currently a member of the 2012 Neo Soul Slam Team and the Xenogia Spoken Word Collective. She is a teacher, mother of 2, and activist in her community while juggling her passion as a writer, producer and performer. For upcoming Spitfest events, Spitfest DVD orders, booking or other information contact 512-903-8027 spitfest@yahoo.com www.spitfest.com. With lips from any ghetto you choose and words spoken to save her own life, this Gully Princess by the name of Ebony Stewart, is the only adult female Three Time Slam Champion (2007, 2009, 2011) in Austin, TX. Ebony was also one of the leading members of Austin Neo-Soul in 2010 ranking 4th in the Nation. Adding another accolade, Ebony coached the 2012 Neo-Soul slam team, taking them all the way to first place in Group Piece Finals. 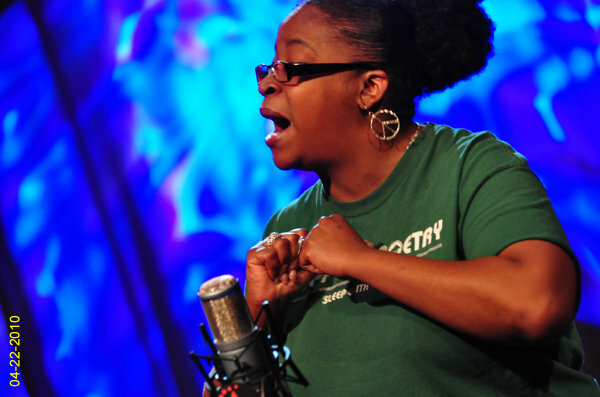 The Austin Chronicle stated “Ebony is a wide-eyed and physically fluid young woman.” While The Austin American Statesman describes her personality and spoken word style as “beasty.” Poetry is where Ebony Stewart goes to make things right.